Oregon senior wide receiver Josh Huff (1) hurdles Tennessee junior defensive back Justin Coleman (27) as Huff makes his way down the sideline. The No. 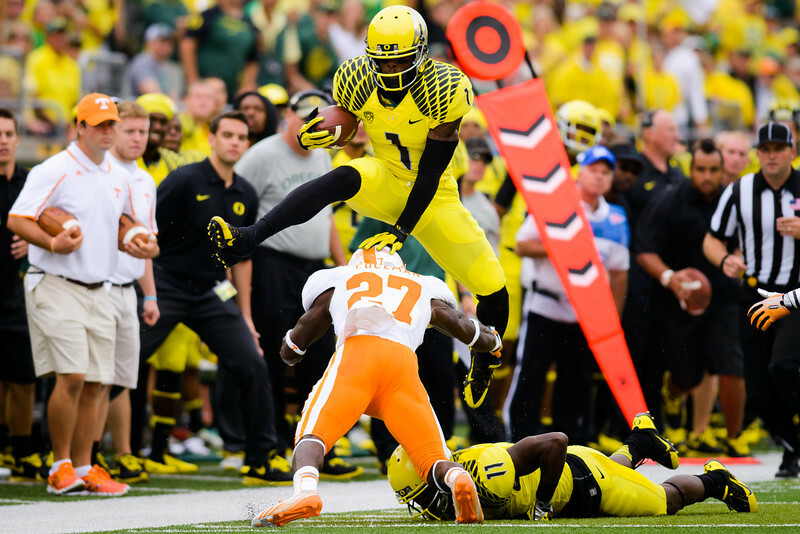 2 Oregon Ducks play the Tennessee Volunteers at Autzen Stadium in Eugene, Ore. on Sept. 14, 2013.